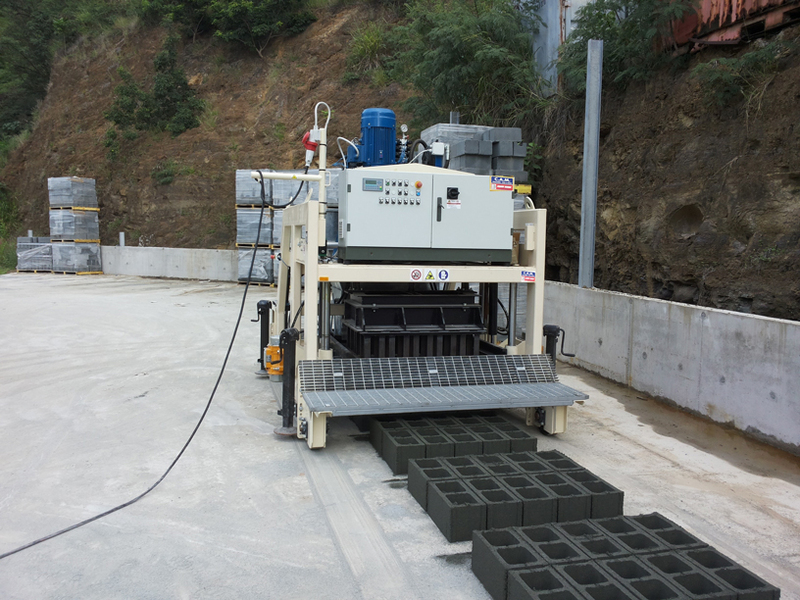 VIBROMOBILE unit (egg-laying type) ideal for in-site high-production rate of concrete agglomerate blocks. Forming is semi-automatic and compaction is achieved by the combined effect of vibration and counter-mould free fall. 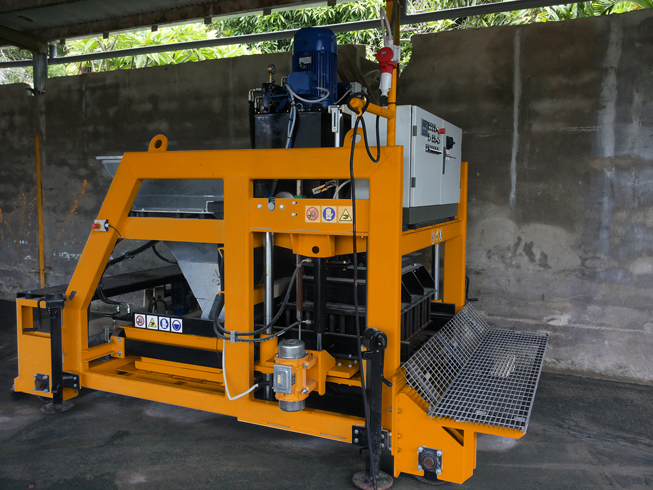 An 1000 lt. hopper used for stocking the aggregate on-board the machine, guarantees a very long operation without recharging. This unit implies a concrete track. A properly sized batching system will be necessary to run this block-forming machine and to guarantee the above stated production rate.